Discussion in 'Masonic Blogs' started by My Freemasonry, Dec 12, 2012. 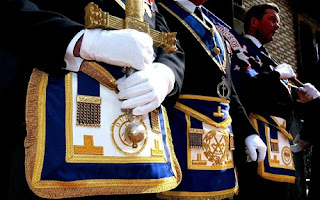 Freemasons are gaining popularity in Asia, according to an article on the Telegraph website. Hummmmmmm ... I'll be the PMs are pretty good at that one too. Masonry in the Philippines just celebrated its centennial and appeared strong there I was fortunate enough to attend 1 stated meeting and 2 Masters Degrees while I was there a very enlightening experience. They had a run series there throughout the year that rotated through the different regions dubbed " run kuyang(Brother) run". I wish I would have been able to be there for the run and the Communication that took place to celebrate this event.